With hundreds of thousands of apps out in the App Store, Google Play and Microsoft Store, it has become a growing challenge to suss out apps that are not only useful, but also easy to use. These apps either make our lives more convenient, organised or shake up the way we lead our daily lives. After downloading and trying a long list of applications, here are some of our favourites that we feel will make your lives better! For avid Instagram users, you may have noticed your Instagram stories being taken over by pictures placed in sleek, minimalistic white frames. The simple yet aesthetically-pleasing layouts are presets found within Unfold, a photograph templates application. Co-founder Andy McCune wanted to find an app to help him compile his designs and photography for future employers. His lack of success in finding one led him to make his own. Alfie Cobo, the other co-founder of Unfold noticed the popularity of Instagram and steered the duo to create an app that allows users to flaunt their work on the popular social media platform. 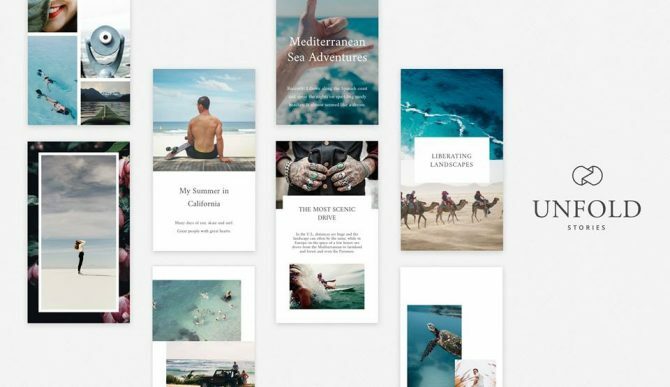 The app features 25 different minimal and elegant print-media inspired templates to help bring stories to life. Whether is it recounting a month-long vacation or just a weekend getaway, let your creative juices flow when it comes telling your next story. Apart from these free templates, the unfold team has also rolled out three sets of 15 templates, each giving you greater freedom to tell your stories in ways better than you have imagined.